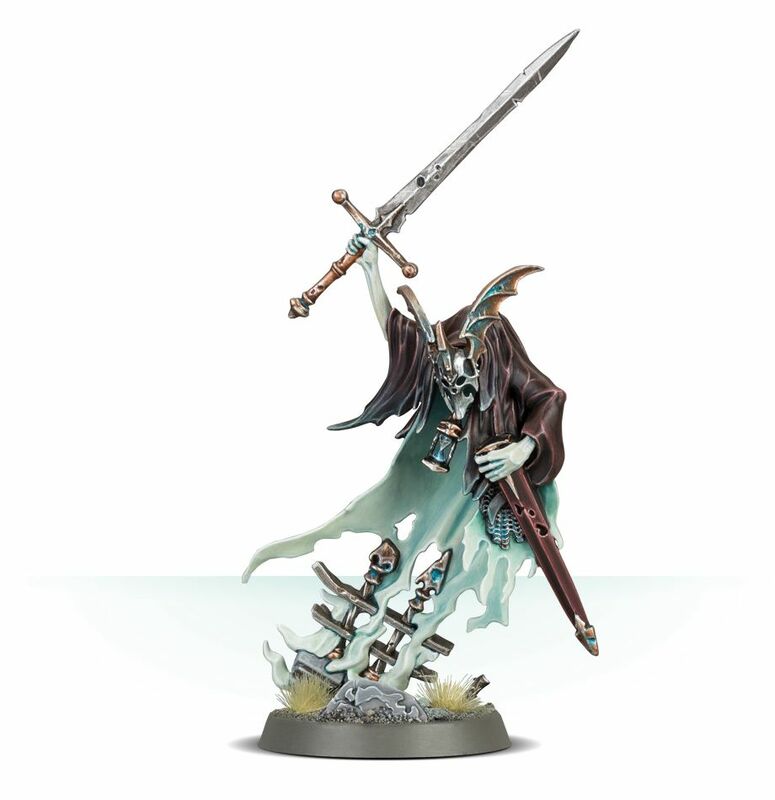 So the portents have been realised and the forces of Nagash are marching on the storm forged warriors of Sigmar – A new chamber of Stormcast Eternals is unleashed upon the spectral forces of the Nighthaunt! 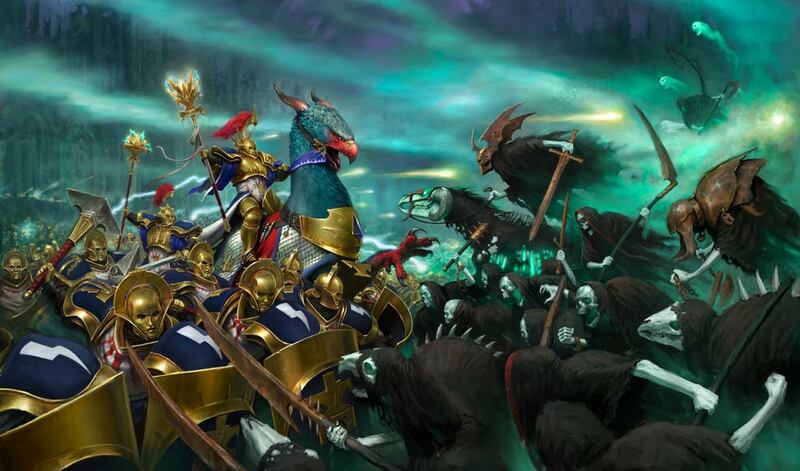 Age of Sigmar 2nd Edition will be with us next month, but do you notice anything about these first two forces? Have we maybe missed signs to be interpreted in the coming of the harbingers? 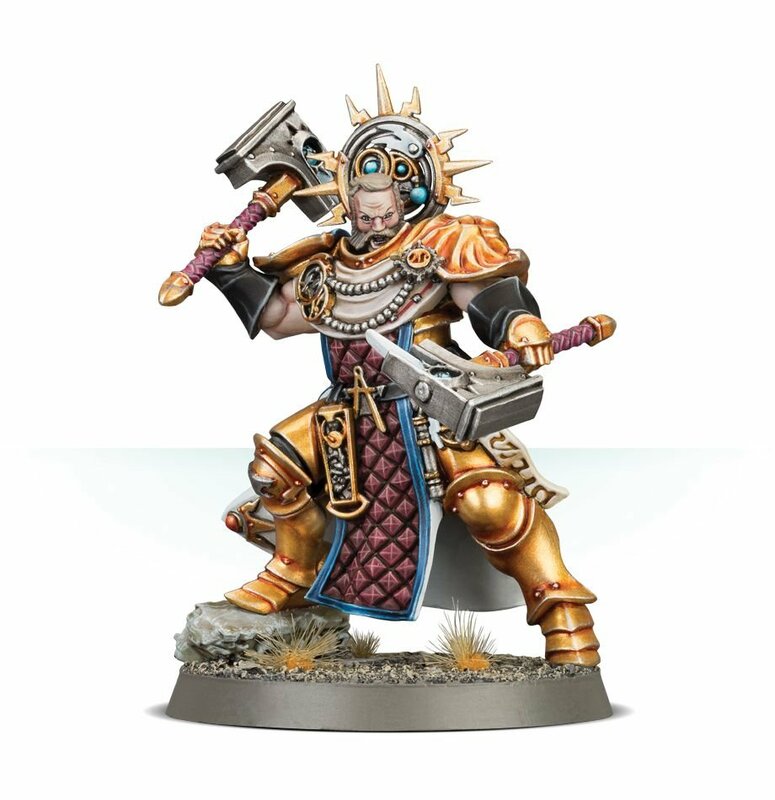 Enter the new Stormcast war machines glimpsed at Warhammer fest! Suddenly he makes a lot more sense allowing these Lightning shooting weapons to fire twice! …the awesome new Nighthaunt range on the way! They are going from having a handful of units to an entire battletome – and it’s out in June too!! So what does this mean for the next releases for Age of Sigmar – well I’m sure you have noticed that half of the characters in Malign Portents have got corresponding releases, I dont think it’s too much of a stretch to guess that the next two armies for Age of Sigmar will be the Darkoath (Or at the very least Slaves to Darkness – as we dont appear to have a Darkoath keyword yet) and Moonclan! I’m sure Games Workshop will want each Grand Alliance to have something cool to launch the new edition, and both of these forces have kits that would look great with an update! For the Darkoath I’d love to see newer barbarian marauders in the style of the Warqueen to represent the mortal tribes ravaging their way across the realms! The current kits are quite old now and an update to make them fit better into the universe would be brilliant! For the Moonclan I think what everyone would want to see is new squigs! Plastic squigs that cover old and new options would be brilliant, especially if they run with the more fungal angle the new Shaman has! These have the potential to be uniquely “Age of Sigmar” Goblins unlike anything we have seen before! So what do you guys think we will see next? Armies to follow the remaining two Harbingers, or something different entirely? Let us know below! Also, if you want to hear more about Warhammer Fest and all the news don’t forget to check out our podcast! Listen to the show using the embedded audio below, download the show via this link or catch us over on the iTunes Podcast App.